Vegan Eats and Treats! 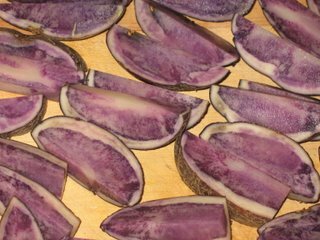 : Purple Potatoes! Tonight we had "Giant Salads" ... I took a picture, but it didn't turn out great. 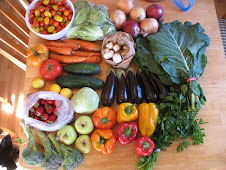 It was mostly farmer's market bounty: lettuce, Armenian cucumber, raw zukes, carrots, red onion for Musty, chickpeas for me, and a handfull of hemp seeds. Very yummy. Along with dinner I made some tasty oven fries. My aunt's boyfriend gave me a big mess of organic purple potatoes, and I wanted to put them to good use. Aren't they just beautiful!!?? Here they are after cookin' up in the oven... crunchy on the outside, soft on the inside. They turned out great! I put a little bit of olive oil and salt on them and served them up with some ketchup. I love me some purple potatoes and those look especially yummy! I know... purple potatoes are magical and fun. It feels so exciting to eat something purple! Yummm...these look delicious! 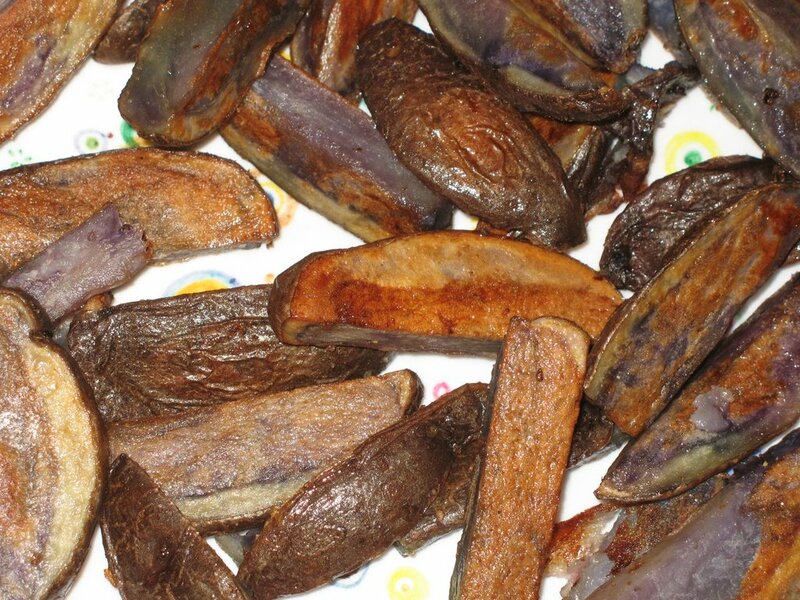 Ive never actually eaten purple potatoes, just as chips I think once. (the bag kind) . Maybe a food to add to my list of things to try??? I'm so excited to be tagged! I haven't posted in a couple days because of a family wedding... but even before I got tagged, I've been thinking about my 5 favorites. Look for it tomorrow... Tonight, I just gotta go to bed! 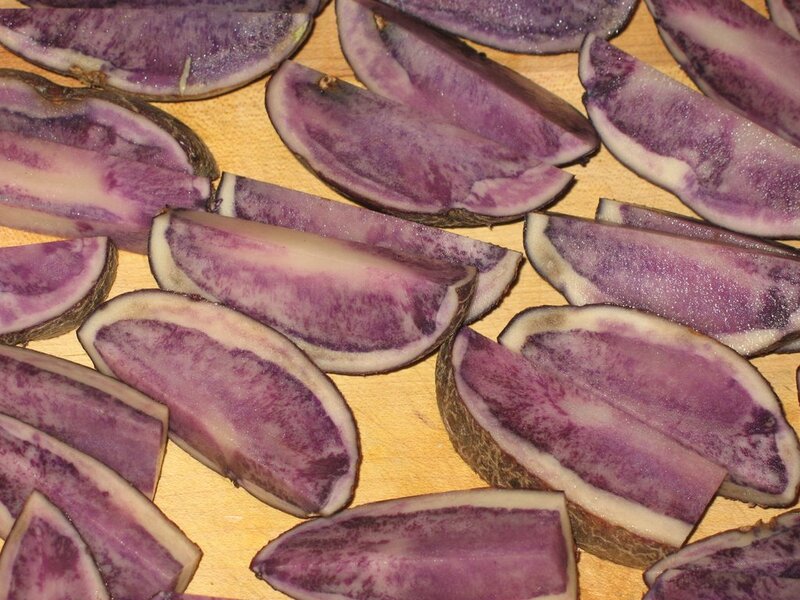 Purple potatoes mostly taste the same, but they are pretty and fun. When you boil them, they lose some color, so roasted is a bit more fun.